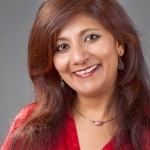 Ishi writes and performs for theatre and comedy events nationally. In 2013, she toured her debut, solo show, “I am Happy!” The tour included the Edinburgh Fringe Festival. It was nominated for Best Show award by Funny Women, awarded four star review by Female Arts and called “engaging raconteur” by Three Weeks. She is currently sharing a new theatre piece, “Love. Light. 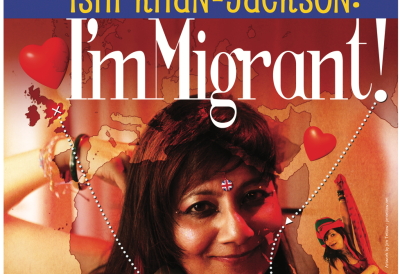 Laughter (working title)” and a stand up comedy show “Ishi Khan-Jackson:I’mMigrant!” This is a show about migration, identity and belonging. Ishi runs unique, energetic creative thinking workshops to inspire writing for all ages and backgrounds. Ishi regularly comperes events.